Born on a sunny November afternoon during an EdCamp Grand Rapids session at the Kent ISD in Grand Rapids, Michigan, the #michED chat is a regular Twitter chat and hashtag that hopes to connect educator, student, and parent voices across Michigan. Together, our voices can amplify solutions for problems facing education across Michigan. The #michED chat is hosted each Wednesday evening at 8 pm EST on Twitter by a Michigan educator, parent, or student. 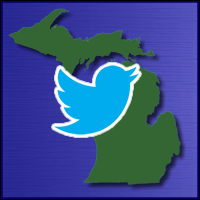 Just head over to the Twitter search page for the #michED hashtag and you can read through the tweets and updates whenever you’d like, although if you want to participate, share, and connect, you do need a Twitter account.